Christmas is a time for spending time with your most loved ones and eating chocolate. Lots and lots of chooclate. When January comes around it's easy to feel a little heavier and very sluggish after consuming ones weight in chocolate. 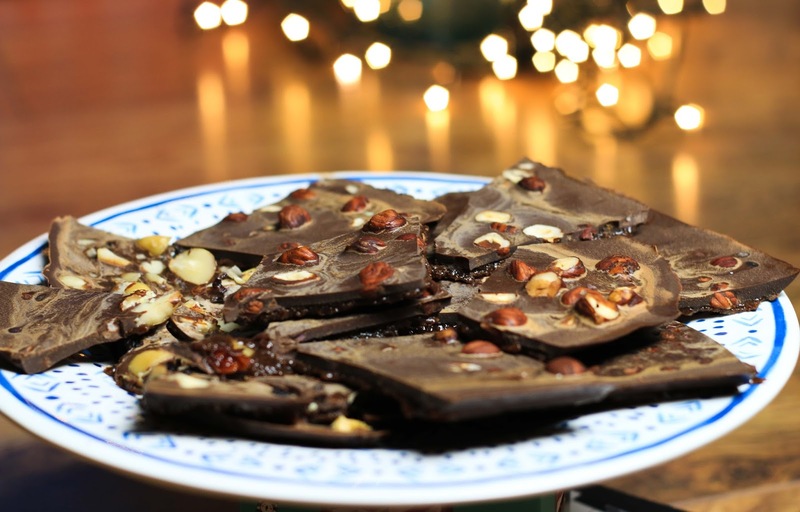 Fortunately I have come up with a simple and delicious raw chocolate bark recipe which is a much healthier alternative to milk chocolate. 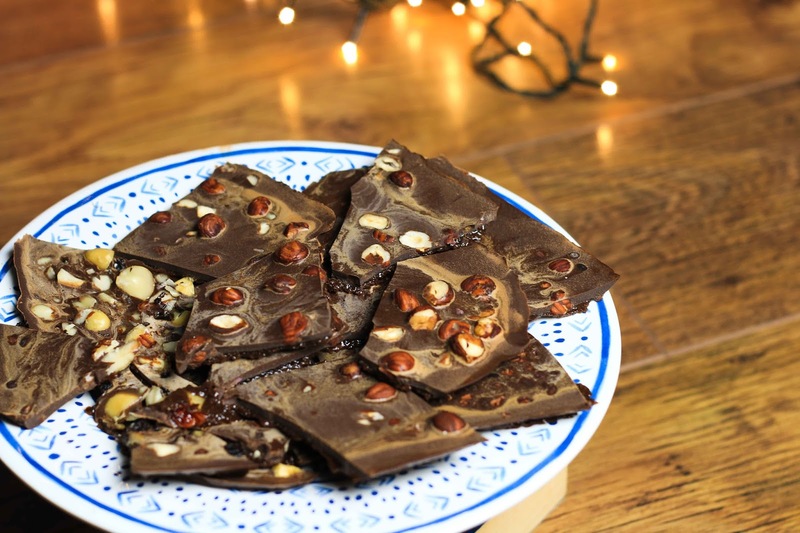 It has a very smooth dark chocolate top with a moist and slightly crunchy texture underneath thanks to the coconut sugar. Bring a pan of water to boil and then turn it down to simmer. Gently melt all the Cacao Butter in the heat proof bowl (I just used a plastic measuring cup) until the last of the solids have just disappeared. Ensure the cacao doesn't go over 45 degrees celsius. Add the coconut sugar and keep stirring with the cacao butter. Add the Vanilla Powder and stir into the melted cacao butter and sugar. Add in the Cacao Powder and mix until is smooth. Add in all the Agave syrup and the salt and mix until completely blended. Line a tray with baking paper, ensure to use plenty to cover the sides. Pour the chocolate into the tray and let it spread. 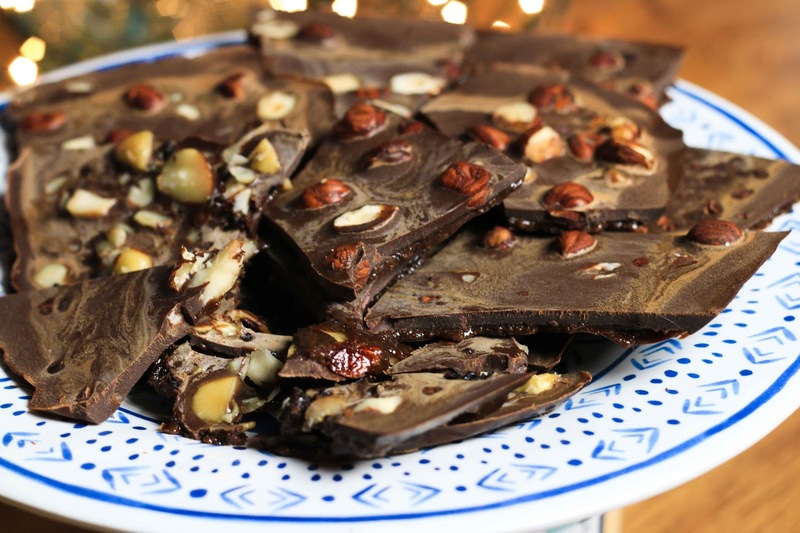 While still melted, sprinkle with the mixed nuts and fruits and cacao nibs. I split it into three sections one with just cacao nibs, one with hazelnuts and one with the chopped nuts and fruits. So there you have it a delicious chocolate treat which is actually good for you! 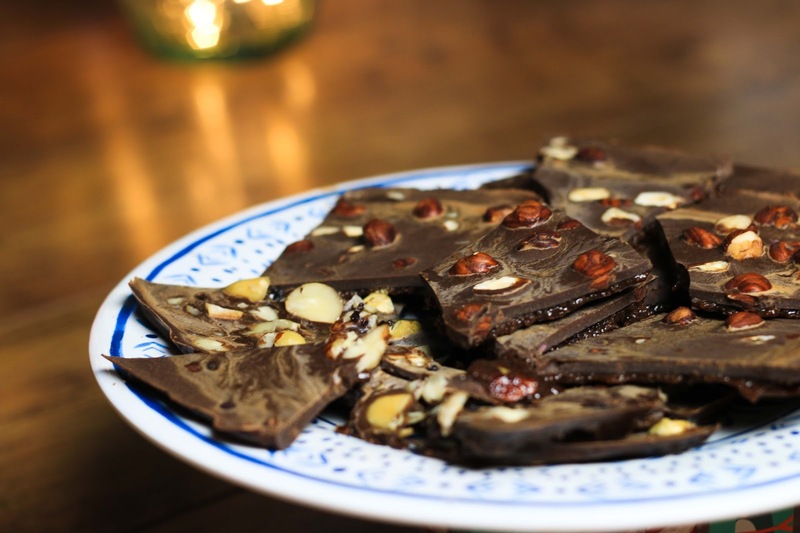 I made this chocolate using Indigo Herbs ingredients as I find them of the highest quality. If you love chocolate you might also want to give my Raw Chocolate Torte a go.